mySFX software © 2012 - 2017 TouchScience LLC. All included original sounds and images © 2012 - 2017 TouchScience LLC. "Bach Toccata", "Charge", "Chime", "Rally", and "Reveille" are original performances of public domain compositions. "Bach Toccata" from "Toccata and Fugue" by J. S. Bach. Keyboard and mallet instruments performed by S. Kennedy. The included sounds "Mercury 4 Liftoff" and "Sputnik" are from public domain sounds available from the National Aeronautics and Space Administration (NASA). 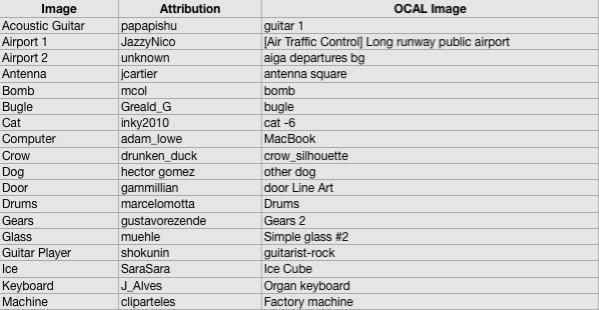 The following included sounds are from sounds from freesound.org and are included under the terms of either the Creative Commons "Zero" (CC0) Public Domain Dedication or Creative Commons "Attribution" License (CC BY) as noted. The included "Marimba" image is from the cliparts101.com public domain image "MARIMBA".